Asia’s markets may gain on Monday, tracking rallies on Wall Street on Friday amid optimism that the U.S. trade war with China may be approaching a rapprochement. U.S. President Trump said on Saturday that a trade deal with China “could very well happen,” During his briefing with reporters he also said “There were some false reports about sanctions being removed,” as a concession, noting the U.S. has made a “tremendous amounts of money” as a result of the sanctions. But in what could be a stumbling block, the U.S. is pushing for regular reviews of China’s actions on any promised trade reforms as a condition for a deal, Reuters reported. March 1 marks the end of the negotiated 90-day moratorium on the U.S. imposing tariffs a fresh patch of imported Chinese products. But on the flip side, analysts were becoming more concerned that the U.S. government shutdown, already the longest ever at more than a month, could impact economic growth. Over the weekend, Trump proposed a deal of funding for a widely criticized wall on the U.S. border with Mexico in exchange for protections for certain groups of immigrants to the U.S. The offer was almost immediately dismissed by the opposition Democratic party. March futures for Japan’s Nikkei 225 index were down 65 points at 20,885 at 7:55 A.M. SGT, according to CME data; that compares with the index’s close at 20,666.07, up 1.29 percent, on Friday. The index was up 0.8 percent in early trade. 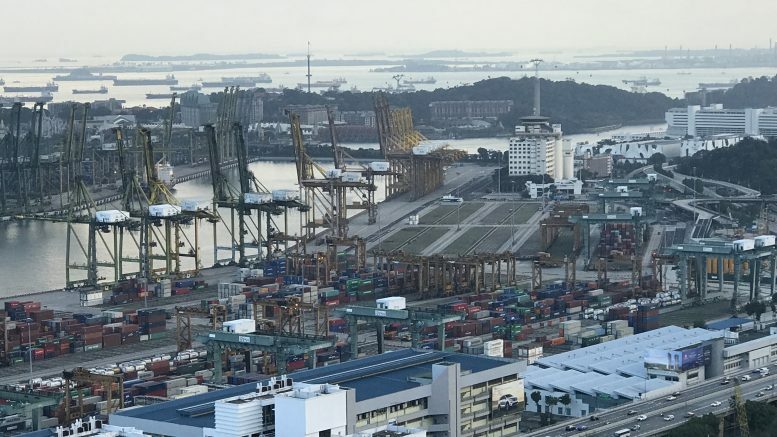 Singapore’s Straits Times Index ended Friday up 0.31 percent at 3224.34; January futures for the index were at 3222 on Friday, while February and March futures were at 3226 and 3223 respectively. Hong Kong’s Hang Seng Index was up 1.25 percent at 27,090.811 on Friday, while China’s CSI 300 index tacked on 1.82 percent to 3168.174. Malaysia’s KLCI rose 0.55 percent to 1692.22 on Friday, while Indonesia’s IDX Composite gained 0.38 percent to 6448.16. The Dow Jones Industrial Average jumped 2.06 percent to 24,706.35 on Friday, the Nasdaq Composite gained 1.03 percent to 7157.228, and the S&P 500 1.32 percent rose 2670.71. Futures for the three indexes were slightly down in early trade. Nymex WTI crude oil futures for February were down 0.54 percent at US$53.51 a barrel at 7:46 A.M. SGT, while ICE Brent crude oil futures for March were down 0.54 percent at US$62.36 a barrel at 7:45 A.M. SGT, according to Bloomberg data.